My family’s favorite dinner: PIZZA! 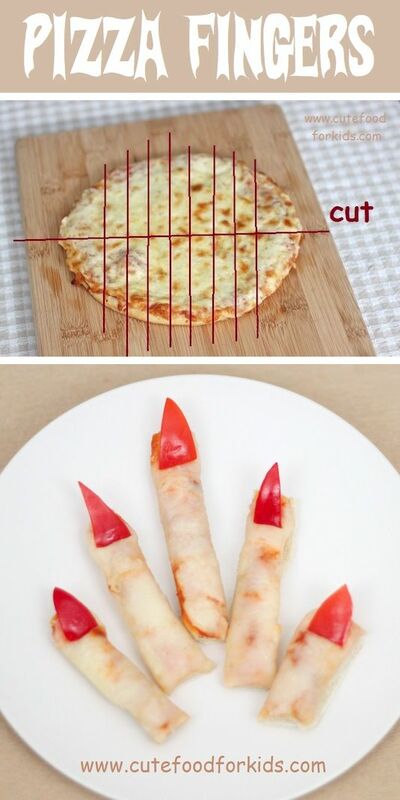 Slice it nice and thin and place a triangular shaped piece of red bell pepper on the ends to form ugly but tasty fingers. 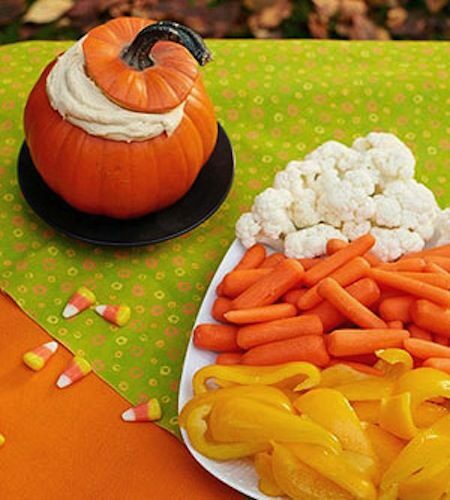 This arrangement will make the kids forget they’re eating something healthy! It’s also very colorful and festive on a party table. Serve it with a side of ranch, hummus, or your favorite veggie dip. Although this is made with white chocolate (only half an ounce each pop), it’s much healthier than candy, and certainly a frozen Halloween snack that the kids will love! They will also enjoy being your little kitchen assistant on this one.